Heritage Protection Focus Groups are being set up, for all the regions, to help Gillian Ashmore of DCMS (project manager and Regional Director for the Government Office for the South East) to advise ministers. This will be prior to formal consultation being carried out on proposals to review heritage protection legislation. The draft proposals, currently being considered, are wide ranging and will be published on 11 July. Consultations will need to be sent back to DCMS by 3 October 2003. Dave Chetwyn, of Stoke on Trent City Council, will co-ordinate the national IHBC response over the summer. IHBC NW branch are looking to feed into the consultation process and will discuss the review at its committee meeting on the 23 July, at Canada House. Members initial thoughts will need to be made clear before that meeting. The views of the "County" conservation officer groups could also feed into the process. The IHBC Council will be meeting, in London on 11 September, and are likely to agree an overall response for the Institute. Considerable hot air is currently being generated following the Government's announcement that it intends to close the loophole in PPG7, which enabled the super rich to build luxury houses in the countryside. Quite apart from whether it was ever acceptable for the seriously wealthy to be able to bypass planning regulations that applied for everybody else, the legislation was always muddle headed. To remind readers, paragraph 3.22 advised that…. "An isolated new house in the countryside may also exceptionally be justified if it is clearly of the highest quality, is truly outstanding in terms of its architecture and landscape design, and would significantly enhance its immediate setting and wider surroundings. Proposals for such development would need to demonstrate that proper account had been taken of the defining characteristics of the local area, including local or regional building traditions and materials. This means that each generation would have the opportunity to add to the tradition of the Country House which has done so much to enhance the English countryside". One possible explanation could be that the predominance of modernist proposals for country houses, do not sit easily with the publics idea of what constitutes countryside and are commonly viewed by the public as urban intrusions, quite out of context with their surroundings. Frankly there have been prettier power stations, than some of the proposed country houses. But as a large part of the architectural profession feel uneasy using any style other than modernism and while a new, more appropriate, style is not forthcoming, it would appear that the gap between architects, public and politicians is likely to remain wide. For its part, the Government maintains that the clause conflicts with its priorities for sustainable development and affordable housing. Indeed it is hard to disagree with that point, as it seems unlikely that the country house of the 21st Century would be the centre of a paternalistic local economy in the same way as its 18th Century predecessor. The British countryside is central to the identity of the nation to a remarkable degree considering the overwhelmingly urban composition of society. Yet it is a finite resource, remarkably vulnerable and should not be regarded as a free for all for the nouveau riche and their ambitious architects..
David Crellin, northern caseworker for the Victorian Society, has announced that he will be leaving the Society, in mid July, to take up a post as architectural historian with Alan Baxter & Associates. David has been particularly helpful to North West and even wrote the front page of issue 5. I am sure that all members who have been helped by David will want to wish him the best of luck in his future career. Sometimes it’s too easy to skirt over what looks like the boring bits and just head for the chapter on conservation or the historic environment. The new RPG13 doesn’t have one of these, but you might find what you are looking for in Chapter 8, Active Management of Environmental Resources. The good news is that references to the historic environment are found throughout the guidance and it really is a document that deserves reading from cover to cover, advises Judith Nelson of English Heritage. The overriding aim of Regional Planning Guidance is to promote sustainable patterns of spatial development and physical change, whilst one of the key objectives of the RPG is "to ensure active management of the Region’s environmental and cultural assets". There are four Core Development Principles (known as DP's 1-4). Policy DP1 encourages the re-use, or conversion, of empty buildings, which are of architectural or historic interest. DP2 is concerned with providing a high quality of life, for this and future generations. It advises that development plans are required to identify and protect environmental "capital". DP3 suggests that authorities should include local design strategies within development plans or as supplementary planning guidance. This includes conservation area appraisals, and requires that new development should demonstrate good design quality and respect for its setting. DP4 again refers to the opportunities in the region for the re-use of old industrial buildings of historic interest and the way in which local communities can input into the development process through, for example, village appraisals, village design statements and conservation area appraisals. RPG13 describes the North West region as a "bi-polar" metropolitan region, in a coastal position, with extensive rural areas. In directing a significant proportion of growth to Liverpool and Manchester city centres and their surrounding inner areas, RPG13 notes that their distinctive architectural heritage must be conserved, modern developments must be of high design quality and that it is necessary to improve the design and management of the public realm as well as adding greenery (Policy SD1) and that there are significant opportunities to imaginatively re-use older existing buildings. As paragraph 3.14 states "Economic capital should be made of the two Regional Poles’ historic character". Outside the North West Metropolitan Area "Chester, Carlisle, Lancaster and Preston are regarded as historic towns requiring continual conservation with sensitive integration of new development, where needed, plus a regard for maintaining and enhancing their setting." (Policy SD3). Finally, on a more topical note, for those Authorities facing Housing/Neighbourhood Renewal, the RPG calls for the prior evaluation of the environmental, economic, social and cultural impacts of the way any proposed clearance and after-uses will affect the surrounding area and the local community (Policy UR6). As para 8.9 notes "Even within the Regeneration Priority Areas, where much modernisation and enhancement is needed, there will be scope to undertake some analysis of the historic character of the landscape and to conserve, enhance and re-use – with sensitivity, but also in innovative and exciting ways – their most valued historic features". 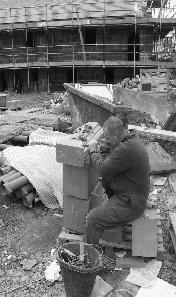 Policy ER4 specifically covers the contribution of Built Heritage to Regeneration. IHBC members have the opportunity to inspect stonework repairs and conservation works currently being carried out on St George's Hall. The visit will take place on 20 June 2003. 1.30pm (until approx. 5.00pm) and numbers are limited to 25. Architects, Purcell Miller Tritton, and the main Contractor, Mowlem, have kindly agreed to a limited number of specialists inspecting this Grade I listed building during the works. If you are interested in joining this visit please reply to Glyn Marsden, either by post or by E-mail, no later than 16 June 2003. Hard hats, site shoes and appropriate clothing are essential for this visit. The refurbishment and reuse of Liverpool Airport terminal complex illustrates how innovative relationships between the public and private sectors can achieve the restoration of listed buildings whilst also being a catalyst for regenerating whole communities. Glyn Marsden & Stuart Clark explain. The Former Liverpool Airport Terminal Complex comprises three Grade II* Listed Buildings, namely Hangars 1 & 2 and the main terminal building, listed for both their architectural style and significance in the historical development of commercial aviation. Under the EU's Project Raphael the complex has been recognised as one of three principal civil aviation sites in Europe, the others being Templhof, Berlin and Le Bourget, Paris. The Speke/Garston district deteriorated significantly, during the late 80’s and early 90’s, both in terms of employment and its physical fabric. However, the area is now seeing major improvements through projects such as Estuary Business Park, Boulevard Business Park and the expansion of Liverpool Airport. The refurbishment of the airport buildings is a direct result of close partnership between the local planning authority planning, the Speke/Garston Development Company and the private sector. The original Liverpool Airport was built between 1935 and 1939, the listed terminal closing in 1986, following the relocation of the airport to its current site. The hangars and terminal fell into a very poor state of repair. In 1995, the buildings were acquired by English Partnerships as part of the wider Speke/Garston Regeneration and the assets passed onto the newly created Speke Garston Development Company, a public-private partnership, in 1996. Speke Garston Development Company initially arranged a competition in 1996. Neptune Developments were selected to undertake the refurbishment of the complex given their partner’s commitment to the site (David Lloyd Leisure and Whitbread Plc). Detailed negotiations to accommodate the end users in an innovative but sympathetic design took place. Key players were Local Authority planners, Speke Garston Development Company, Falconer Chester Architects (Neptune’s architects) and English Heritage. The collective aim was to solve the problems of refurbishing the three buildings in a manner that would accommodate modern day end users without compromising the historic fabric of these large buildings. In terms of their architecture, the three Listed Buildings are probably the most notable structures in south Liverpool. They also hosted many memorable events such as the Beatles returning from America in the 60’s and Liverpool FC’s triumphal returns from European Cup competitions in the 70’s and 80’s. In order to secure their future, it was clear from the outset that the key building was the terminal building. However the building was not designed for modern commercial requirements, but an operational airport terminal with many different and unusual sized rooms. The internal design of the Terminal Building did not lend itself to easy conversion to a 4* hotel. It was clear from the outset that an extension to accommodate the bulk of the bedrooms would be necessary. It was agreed that a ‘reverse’ of the curved structure of the original terminal, with a lightweight structure on top, would present an innovative solution to the problem. Designs were chosen to ensure that the link between the old and new would be seamless. Such facilities could not have been achieved in the original terminal, without destroying its historic character. The total cost of the hotel development was £15.2 million of which £6 million was secured from ERDF Objective 1 funding and English Partnerships. The number of jobs created by the hotel has been 150. David Lloyd leisure, a company that required extensive internal open space for its tennis facilities fully understood the need to protect the heritage of the Hangar. it was possible to retain the large hangar door openings, and the feeling of space through the extensive use of glazed curtain walling. 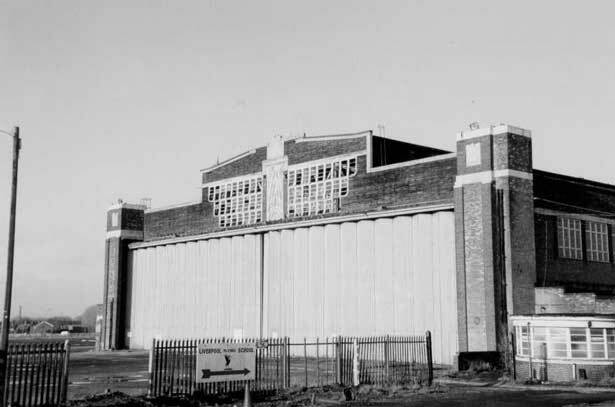 The hangar doors were refurbished and fixed partially open to retain the traditional hangar appearance. The fitness and leisure side of the facility was located adjacent to the original Hangar doors with the six tennis courts in the refurbished hangar space. The attractiveness of the building and their confidence in the vision of the development of the rest of the complex meant that the developer met all costs with no grant aid, a total sum of £9.2 million of inward investment. To date, the leisure club is hugely popular with local people (over 5000 members) and employs 70 staff. Although Hangar 2 remains unlet on a permanent basis, it was also renovated to the same high standards as adopted for Hangar 1 and the Terminal Building, being essential to the success of the project. To date, it has been used for the production of films and as a venue for opera. Acknowledging the difficulty of letting not one, but two large Listed Buildings with their associated constraints, the use of the building had to be flexible. A decision was made to permit the use of Hangar 2 as a call centre, should a leisure user not materialise. This presented a significant shortfall in parking within the terminal complex and junction capacity problems. The local authority therefore considered it necessary to 'envelope' Hangar 2 within the adjacent Estuary Business Park to solve parking and access issues. This has been achieved without adversely affecting the setting of the Listed Buildings, through the careful use of low internal boundary fencing and careful landscaping. Whilst physically separating the Hangar from the terminal building and Hangar 1 on the ground, the enveloping solution retains the relationship of the three buildings as a cohesive group. The cost of the refurbishment was £2.7 million of which £1.175 million was secured through ERDF Objective 1 funding. If used as a call centre (which is the long term intention), up to 450 jobs will be realised. Local Authority planners, and in particular the Local Authority’s Conservation Officer, worked very closely with architects and the contractor to ensure that all aspects of the refurbishment were as authentic as possible. As a result, Speke is held up as an exemplar as to how such a unique group of buildings can be sensitively re-used. Such schemes can change the image of an area, acting as catalysts to further inward investment, restoring civic pride and create long-term job opportunities. The net result is the re-use of three potentially unusable Grade II* Listed Buildings, and levering £20 million of inward investment into one of the poorest areas in the country. It also demonstrates that large dilapidated buildings, which have significant planning constraints, can be brought back into use using limited grant funding in comparison to the cost of the project as a whole. 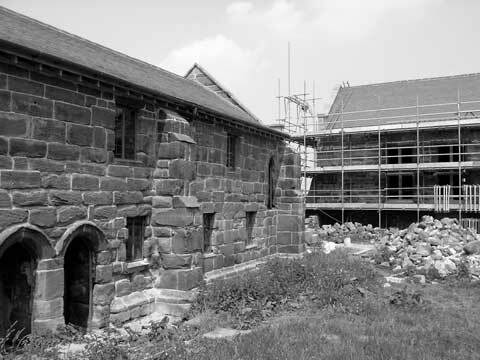 Restoration works are now almost complete at Ince Manor in Cheshire, a monastic grange sited above the Mersey Marshes. The attractive village of Ince is one of a scatter of historic settlements on the higher land above the marshes, but it has been easy to overlook, due to its sprawling petro-chemical neighbour at Stanlow. Perhaps this is why an exceptional building complex like Ince Manor fell steadily into disuse and dereliction over the course of the Twentieth Century, eventually becoming roofless and ruinous, despite it being a Grade I listed building and Scheduled Ancient Monument. Mike Scammell explains. The great hall of the Manor was a brooding, stone hulk when members of the Chester Historic Buildings Preservation Trust first visited in the early 1990s. Attached to it was a modest nineteenth century brick outbuilding, and close by a range of monastic cottages, in a still more perilous condition. The first question was whether it was actually appropriate to restore the buildings? Would it be better to consolidate the remains and preserve them as ruins? The Hall had spent most of the last century as a barn, under a simple 19th Century roof. An 18th Century print showed that it had been a ruin before. However the cottages had been in use as recently as the 1960s and as parts of their original roof trusses survived in store. English Heritage advised that it was proper to restore them. If the buildings could be restored and used again, the Preservation Trust, which operates as a rolling fund, might have a role in the project. The Trust commissioned a feasibility study from Donald Insall Associates, helped by a grant from the Architectural Heritage Fund. The report concluded that restoration was a possibility and planned a route by which acquisition of the complex might be attempted, as well as suggesting a number of funding opportunities. The buildings were in the ownership of a Miss Vaughan, who had inherited them from a friend. She was unable to gather the resources to restore the buildings herself and agreed to sell the buildings to Cheshire County Council for a modest sum, covered by an English Heritage acquisition grant. The County Council, in turn, passed them to the Trust, who set about the task of raising the better part of a million pounds to fund the restoration. The vast majority of this sum came from the Heritage Lottery Fund, though invaluable grant assistance was also received from English Heritage, Cheshire County Council and Ellesmere Port and Neston Borough Council. A loan was also obtained from the Architectural Heritage Fund. While the Trust’s professional team were putting together the repair package, an archaeological investigation was undertaken by National Museums on Merseyside. This revealed crisp stone footings of lost buildings, but surprisingly few artefacts. The site and buildings were secured by a preliminary contract executed by W.D Stant in the early part of 2001, and the main restoration contract, undertaken by Linford Bridgeman, began in the summer of 2002. Ince was one of the earliest recorded properties of St Werburgh's Abbey, Chester. The Manor is recorded in the Domesday Book and Edward I was entertained at the Manor in 1277. In 1399 the abbot and convent obtained a license to crenellate, confirmed in 1410. At the Dissolution the Manor remained in church ownership until the death of Henry VIII in 1547. It then passed to Sir Richard Cotton and subsequently through the hands of several notable families. The buildings include a single open hall with massive walls containing intermural passage's. To the north east of the hall can be found the range of former monastery cottages that originally contained four separate chambers. Surrounding the complex is a substantial surviving sandstone wall with stone copings and plinths. The function of the grange was to provide food and raw materials for the parent monastic house. The exact number of granges that once existed is not precisely known but is believed to have been several thousand. Only a small percentage can be accuracy located today. Ince is one of only five examples, in the north of England, of surviving standing manorial buildings which formally belonged to an abbey. The monastery cottages are one of the best-preserved examples in England, while the hall possesses the rare and unusual feature of an entrance defended against attack. PPS15 is being prepared to replace the current Planning Policy Guidance notes 15 and 16. A third draft is currently being prepared for consultation, but appears to have become caught up in the more general review of heritage designation. It appears that designation of Listed Buildings and Scheduled Monuments is moving towards a unified regime, and this will need to be reflected in the final version of the PPS. Cheshire County Council have now completed studies for Chester, Vale Royal, Crewe and Nantwich and Ellesmere Port and Neston councils. Macclesfield and Congleton are due for completion in October 2003 and Warrington and Halton in December 2003. 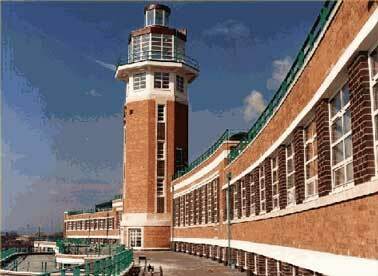 English Heritage has also agreed to extend the survey to Wirral MBC. The results should be of help for development control, landscape designations (such as ASCV's) and agri-environment schemes. It will also feed into the Landscape Character Assessment being carried out by CCC. Preliminary results were presented to local academics at a seminar in May, and a briefing for local planners will be arranged for the autumn. This years branch conference will look at the public realm and is to be held in the Western Rooms at Liverpool Anglican Cathedral on 11th November 2003. Speakers are still to be confirmed but the conference will investigate disabled access, the English Heritage initiative Streets for All, public art, market towns, the CABE agenda and national park villages, will be all illustrated by numerous case studies. The event will mark a return to the Anglican Cathedral for the IHBC which was also the venue for our 2001 conference that looked at ecclesiastical matters. You can wait for ages for a good conference and then two come along on the same day. Liverpool University Centre for Archive Studies (LUCAS) is holding a day school also on 11th November, at Manchester Town Hall. The school will explore techniques and applications for architectural historians and related professionals. Speakers will explain available sources, how to interpret those sources and a range of applications to which those sources can be applied. Speakers will include Anna Eavis of the National Monuments Record, the architectural historian Joseph Sharples, Michael Moss Professor of Archives at Glasgow University, the architect Andrew Wright OBE and the editor of the Local Historian, Dr Alan Crosby. The course costs £95 for non-LUCAS members or £75 for LUCAS members including lunch. 12 July: Study Day, The Audsley's, Masters of Victorian Design, Walker Gallery, Liverpool, Contact 478 4199. Exhibition continues until September 7.